Watermelons are in season right now, as are lots of other wonderful fruits and vegetables! 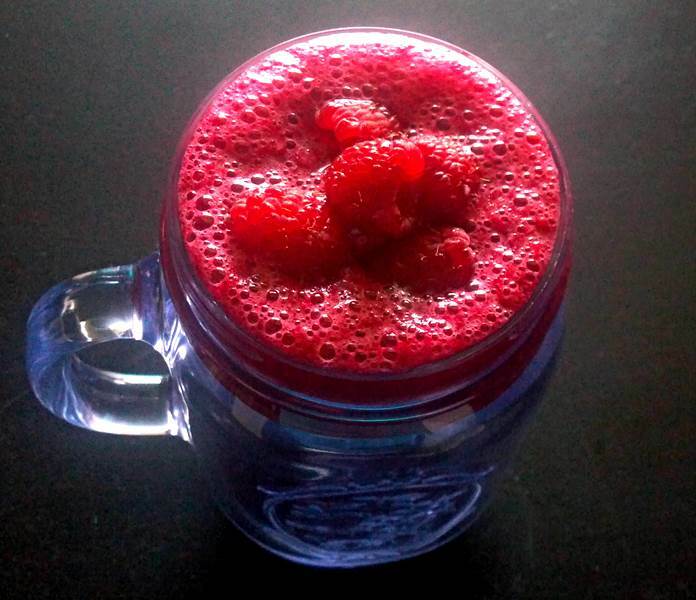 This is a really simple smoothie, requiring only 2 ingredients! Watermelon and beets! Place the watermelon into your high powered blender. Blend enough so that you have room to add the beets. Wash and peel the beets, cut them into 1 inch squares and then blend together with the watermelon juice. The result is amazing! 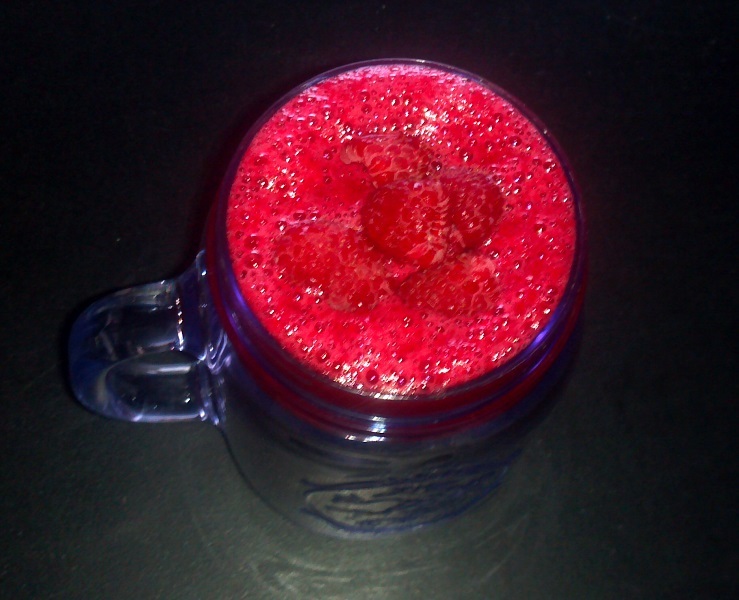 Top with some fresh raspberries (you can also add some to the smoothie if you like) and drink up!